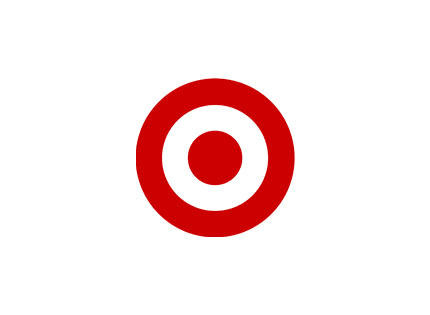 Target is one of the largest major distributors of retail merchandise. They value customer feedback and suggestions. When you fill out the Inform Target Survey, you help them provide customers around the world with better service. You will also be compensated for your time by Target. If you opt into email notifications, you can receive special Target coupons and promotions. By completing the Target customer experience survey about your shopping experience, you can choose to be entered into a $1,500 sweepstakes. Here is how to enter the Inform Target Survey. You need to have a recent Target store receipt. Most participation requirements require you to complete the survey within 72 hours of the date on your receipt. All Inform Target Survey participants must be at least 18 years of age. You need to be able to read English or Spanish. Each customer has a chance to win an instant $25 Target Gift Certificate. Each eligible survey will be entered into the monthly Target drawing for a $1,500 gift card. If you opt in, you can be notified of Target special promotions, plus valuable in-store coupons from both Target and select suppliers. 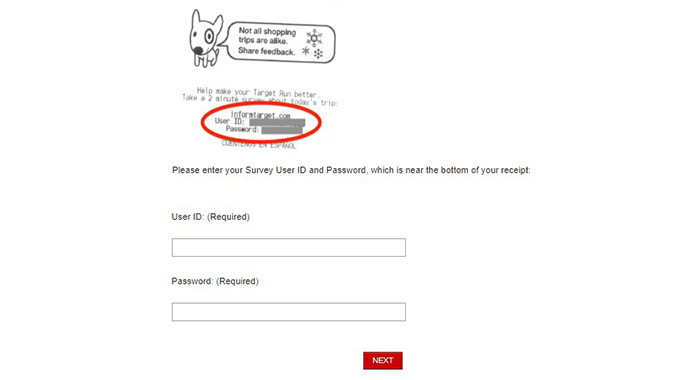 First step is to have your receipt handy and find the User ID and Password located below the survey invitation on your Target Store receipt. Using a secure internet connection, navigate to the Inform Target Survey website. In the upper right-hand corner, there is a dropdown window to select your language. Enter the User ID and correct password, plus select the time of your visit, (also noted on your receipt) from the dropdown [Select] box. Click the red NEXT tab to proceed. Note: the survey will time out after 20 minutes of inactivity. Make sure you have 20 uninterrupted minutes to get through the survey. Answer each of the multiple choice questions about your visit indicated on your receipt. Target requests you answer each question thoroughly and honestly, especially mentioning experiences where you feel they could improve. There are sections that ask for a brief written response. While these are optional, you will need to type in N/A or some other type of brief response to be able to continue. There are questions where you are asked about interactions with Target sales associates, plus other questions that inquire about your overall satisfaction with the store you visited. After you complete each page, click on the NEXT tab to proceed. Once you have answered each question, you will be asked if you wish to enter the Target sweepstakes. You can win a Target Gift Card, or other prizes. Enter your name, address with zip code and email contact. You will be notified if you are one of the prize winners. Click the SUBMIT to finish the survey. Besides being entered into the monthly drawing for the $1,500 Target Gift Card, you could be an instant winner of a $25 gift card. Gift cards and promotional coupons can be used at any of Target’s hundreds of locations. You will be asked if you would like to opt in to receive notifications of special Target Store promotions, plus periodic coupons designed for preferred customers. If you have questions about a specific Target Store experience, you can contact management using the telephone number on your store receipt. Target also has a Target Store Locator that can provide you with information. You can also contact the corporate office or use one of the five other options Target has available for customer service communications. Online – Contact Target Customer Service. Mail: Target Corporate Office & Headquarters1000 Nicollet Mall, Minneapolis, Minnesota 55403. Social Media: Target Facebook Page, Twitter @Target, YouTube, Pinterest, and Instagram. Target’s customer service policy is to listen to the needs and wishes of their customers. To better serve their customers, they have initiated the Inform Target Survey. When you take the time to complete the short list of questions, you help Target improve. In addition to being helpful, it gives you a chance to win prizes and receive valuable promotional notices. Let Target know about your most recent shopping experience, and let us hear how much you enjoyed your survey.